performance as well! Innovation keeps changing the vaping experience! by one 18650 battery, making the battery replacement more convenient. special tactility. Besides, it will bring you increased airflow. Top refill system: Top rotary refill makes filling an easy thing. Leak proof slot can significantly solve leaking problem. your vaping journey right away! responsive, most of the operations can be finished with a simple touch. information. There are 6 colors available for screen setting. The main menu and sub-menu are easy-to read and operate, you can easily manage the vaping data. 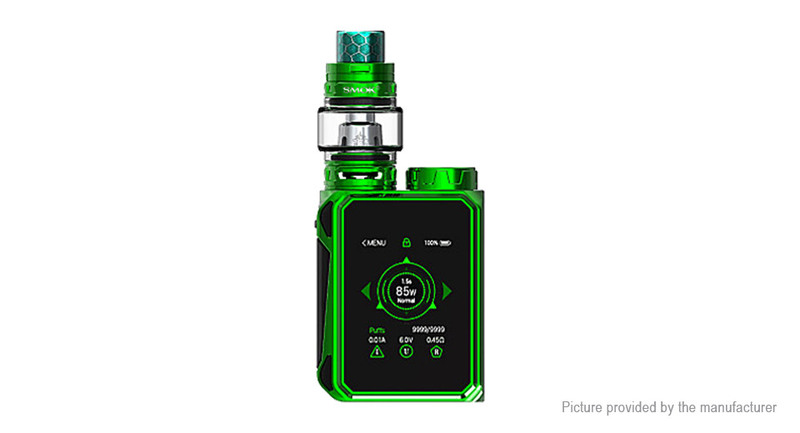 "VM Mode" includes activation of VM Mode, vaping effect and adjustment of wattage value. "TC Mode"includes activation of TC Mode, coil types, adjustment of preheat wattage value and TCR setting. "Puff settings"included puff numbers you have taken, setting limited puff numbers and puff counter clearing function. Mutliple protections: G-Priv Baby provides multiple types of protections to avoid potential risks.